Discover the rich heritage of the Chippewa Falls! 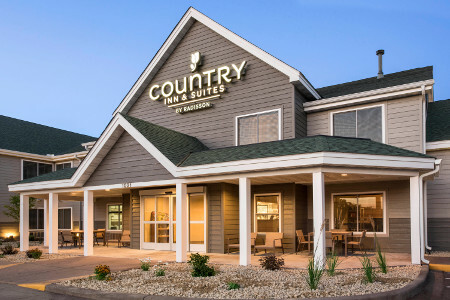 Situated just five minutes south of downtown, the Country Inn & Suites® by Radisson, Chippewa Falls, WI is a family-friendly hotel focused on exceptional service. Join us Monday through Thursday evenings for a complimentary snack, and be sure to chat with other guests for tips on visiting nearby attractions. If you’re a beer-lover, you can drive less than three miles north for tours and tastings at the Leinenkugel’s brewery. Please note: This hotel is a pet-free facility and does not have an elevator. Traveling with kids? 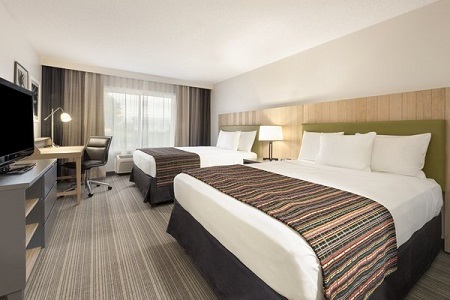 Reserve a Double Parlor Suite to enjoy two queen-size beds and two full-size sleeper sofas. Offering options for even the pickiest eater in your group, our complimentary, hot breakfast makes mornings easier with biscuits and gravy, Belgian waffles and yogurt parfaits. If you have an early meeting, grab a cup of coffee and a muffin for the road. For lunch or dinner, stop by one of several restaurants located within five miles of the hotel. The historic Sheeley House Saloon serves inventive American cuisine with a view of the Chippewa River. Other great restaurants include Loopy's Grill & Saloon, SandBar & Grill and Jim Bob’s Pizza. Chippewa Falls Main Street – Located just five minutes from the hotel, downtown Chippewa Falls is home to a number of unique shops and restaurants along Main Street. If you have a sweet tooth, stop by the Chippewa Candy Shop to snack on decadent milk chocolate blueberries, triple-dipped malt balls and soft-serve ice cream. Leinenkugel’s Brewery – The Jacob Leinenkugel Brewing Company has produced top-notch beer since 1867. Drive about five minutes from the hotel to tour this brewery and learn the secrets behind “Leinies.” Adults receive delicious samples at the end of the tour. Irvine Park & Zoo – This park opened in 1906, and the Irvine Zoo started three years later with the donation of a black bear. Located about 10 minutes from the hotel, Irvine Park & Zoo is a great place to spend the day picnicking and watching exotic wildlife, including white tigers and hyenas. Stop by in the summer to visit the petting zoo, and visit in the winter to see the park covered in thousands of twinkling Christmas lights. Looking for a place to host a sports team gathering or small birthday party? 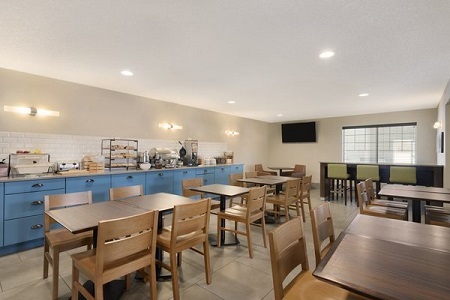 Our open breakfast area located right off the lobby and near the pool is an ideal choice. Open after 1:00 p.m., the space can accommodate up to 25 people. 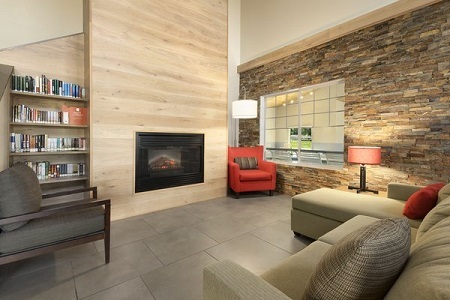 Read more about our hotel's meeting space.